Jada Pinkett Smith, has been cast as Fish Mooney, in "Gotham." She's described as "A sadistic gangster boss and nightclub owner, Fish Mooney's got the street smarts and almost extra-sensory abilities to read people like an open book." “I guess it really depends on what Batman you’re playing, and I think that comic book fans have gotten used to the idea that modern, mainstream is accepting of interpretations of this characters with more gravitas. You know we’re past the time of Adam West’s kind of goofy interpretation of Batman,” he initially told King. So what’s his actual argument against Affleck? "The notion of Superman versus Batman or Superman and Batman is, that’s a long-standing thing in the comics. It’s a long-standing thing in the comic. When they were in the Justice League together, the most common bump between them is that Superman is like, ‘I won’t ever kill people,’ and Batman is like, ‘Well you do whatcha gotta do.’ And they bump heads a lot. If this movie is meant to be the idealistic alien, humans before all else Superman, and this is supposed to be the grizzled, weathered Batman who’s been living in Gotham, fighting crime himself for 10 years, you need a guy who’s older, you need a guy who’s got more weight, and you need a guy that a Henry Cavill Superman is gonna be actually scared of. You have to remember that Batman is just a dude. He’s got no powers. So the fact that Superman is scared of him, says something about the gravitas that he carries. And it’s not just because he’s willing to kill. He’s scary. Below, check out the order that the episodes aired paired with their true episode numbers to the right in parenthesis. I hate when networks air things out of order. It's funny in the fourth season of FX's "Archer" they aired an episode where they mention a character dying before they aired the episode where the guy actually died. Unfortunately it's that way on the DVD too. With "Almost Human" it's annoying because the earlier episodes talk about that ambush that lost Kinnex his leg while the later ones don't dwell on it so when they air them out of order they don't mention it for weeks and then all the sudden he's obsessing about it. SMH. Seth Green does have some good points about Batman. He should be a weathered character. That said, I don't have a problem with Affleck playing Batman. Nathan Fillion is one cool Dude! I love Watchmen it is one of my favorite movies and comics, that being said the SB version is very disturbing. 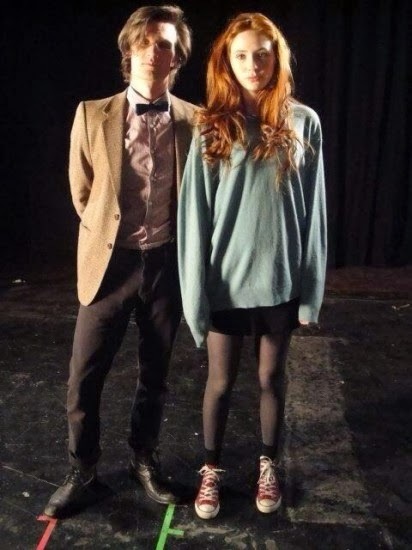 Look Karen Gillan and Matt Smith with hair! I can see where Green is coming from, I just have hope that Snyder and Affleck get it right. Thanks for the shout out! I love the shadow Batman. The best I can do is a horse. That was a lot of fun! Thanks for sharing! I have to admit I agree with Seth Green on Batman. And that shadow Batman - very cool The image with Fillon on the Enterprise was sweet, and that clip with Leonard Nimoy - very cool. I've been incredibly out of the loop lately, so thanks for the the updates! And I agree with Seth on Batman. Really not sure what they were thinking there! 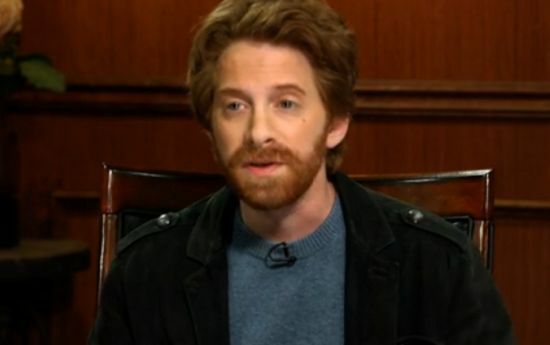 So when is this Seth Green MMA movie coming out? I do think Affleck is not who I would have chose at all, in fact, I'm totally against casting famous actors for iconic roles anyway. Well, unless it's perfect, like Patrick Stewart as Prof X. But as a rule of thumb going with relative unknowns is the way for me, that way I'm not staring at the actor and instead am getting into the character. And that spongebob/watchmen clip. Wow. I thought it was weird too Pat. Like when he's going after his ex-wife in episode six (?). I thought "why did he forget about her?" It's very confusing, but hopefully the rest of the season will play out OK. I'll wait and see since Daredevil was pretty weathered and broken in his own way. I don't have a problem either Alex. Green makes good points, but they said the same thing about Michael Keaton. I still can't believe it L. I can do a couple of things, but nothing that elaborate. I also like that he had a beer bottle in there. Yeah Liesel. The idea that they had to convince people to go see Star Wars is inconceivable now. Fun stuff! Glad we can get you caught up Meradeth! An unknown would have been more powerful Rusty. Just like Reeve back in the day. I can respect Seth Green's stance, but ultimately when I think of Affleck in the role I think of his turn in Hollywoodland. That inner torment that he can bring across for an older Batman is what I think we'll see, and it'll be great. At any rate it's going to be more important how the rest of the film is setup around them. The thing with both Bats and Supes is that they're ultimately the straight guys in the comics. It's the insanity that unfolds around them that makes their characters interesting.